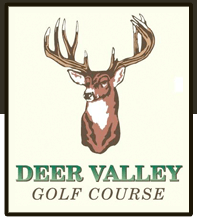 Deer Valley features 3 unique 9 hole courses including The Ridge Course, Prairie Course, and the newer Valley Course. 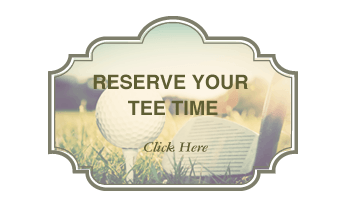 The course is nestled on 270 acres of beautiful rolling terrain, framed by beautiful Blue Mounds State Park and some of Wisconsin’s purest natural prairies. Deer Valley opened The Ridge Course and Prairie Course for play in 1999 to many rave reviews. The blend of links style golf, rolling terrain, and exciting elevation changes gave golfers a chance to use every club and shot in their bag. From our par 3 fifth hole with nearly a 100 ft drop over 100 yards to our par 5 13th that was featured on the cover of the Wisconsin State Journal’s 2000 Golf Guide, Deer Valley gives golfers a breathtaking ride they won’t soon forget. The Valley Course has been a great addition featuring mature trees, water hazards and gently sloping greens highlighted by some of the most fun risk/ reward golf you could ask for. All 3 courses take you nearly a mile out into the beautiful and secluded countryside featuring panoramic views and nature at its finest. 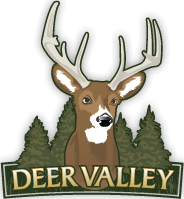 Each course has 5 sets of tees and players of all abilities can enjoy Deer Valley. When choosing your tee, please consider that Deer Valley tends to play “longer” than the yardage due to elevation changes. Thank you NBC Morning Show viewers for choosing hole #5 on the Ridge Course as your favorite area golf hole! Watch WMTV Morning Meteorologist Charlie Shortino and PGA Golf Professional Todd King play beautiful hole #5! Red Tees– Designed for beginners or shorter hitters. No forced carries. Green Tees– For players with some golf experience. Handicap Level: 25-35. No forced Carries. White Tees– For experienced golfers. Handicap level:15-24 Some forced carries up to 170 yards. Blue Tees– For advanced players. Handicap level 8-14. Forced carries up to 200 yards. Please see the scorecard for yardages, course rating and slope.